The AirSnore is a relatively new product that was introduced in early 2016. The parent company who sells this product is based out of the UK while they also have a US location in New York City. Wolfson Berg Limited produces the AirSnore and it’s sold through their website Bauer Nutrition as well as a stand-alone website. The AirSnore line consists of two products – A mouthpiece and essential oil drops. They also sell a combination pack which contains one of each product. Interestingly enough, this combination is the only of its kind currently available. Because the mouthpiece and drops work independently, it’s easiest to discuss each product individually and then examine how they can be used together. 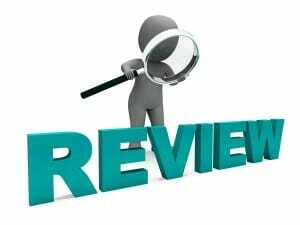 As with all other products that I have reviewed on this site, I will put each product to the test and share the results. Let’s begin by taking a look at the AirSnore Mouthpiece. AirSnore Mouthpieces – What is it & How Does It Work? The AirSnore Mouthpiece is a snoring mouthpiece, more formally known as a Mandibular Advancement Device or MAD. Like all other MAD’s, it’s placed inside of the mouth prior to going to sleep. The upper and lower teeth sink into the mouthpiece which ultimately positions the lower teeth slightly in front of the upper. In doing so, the jaw is also positioned slightly forward. This forward action helps to tighten the muscles in the airway which prevents snoring. Why do you need to move the jaw forward and tighten the airway to prevent snoring? Simply stated, as we age our airway becomes less toned and is subject to movement as air passes through while we sleep. Air rushes through the airway while asleep causing loose tissues to vibrate which creates the sound that we all identify with snoring. 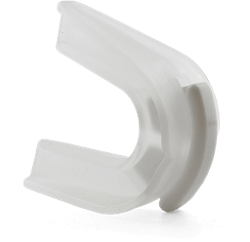 This product is a one-piece mouthpiece that is constructed from molded thermoplastic. This material becomes soft and pliable when momentarily heated in water. When you first use the AirSnore, you will need to warm it up in water in order to create an impression of your teeth. Once the initial fitting process has been completed, it will not need to be repeated for each use. When fitting the AirSnore, its crucial to properly fit the mouthpiece so that the jaw is in the forward position and teeth are embedded in the plastic material. Failure to do so will result in poor performance and or discomfort. One unique feature of the AirSnore are the two breather holes that are located at the front of the mouthpiece. These holes are a necessity for those who are open mouth breathers while asleep. Not all snoring mouthpieces offer this feature. Technically speaking, AirSnore is considered a medical device. Because of this, one consideration may be whether or not the device itself is cleared by the Food and Drug Administration (FDA). In the US, the FDA is responsible for ensuring the safety of their citizens. While the term “FDA Cleared” does not appear on their website, the bottom of their sales page suggests that the AirSnore is manufactured in an “FDA Approved Facility”. Unfortunately, the FDA does not “approve” any manufacturing facilities. US manufacturers are required to register their production facility with the FDA and they are subject to facility inspections. However, the FDA never gives a seal of “approval” to any manufacturing facility or product. Furthermore, snoring mouthpieces are considered class II medical devices by the FDA. 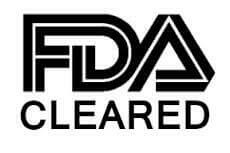 This means that they must first be “FDA Cleared” and sold by prescription. A quick search of the FDA medical device database did not reveal that the product is registered. It’s, however, possible that the AirSnore is registered with the FDA under a different brand name. What’s in the AirSnore Drops? In addition to the mouthpiece, AirSnore also offers drops which are essentially a blend of essential oils. The claim is that this exotic blend of essential oils are beneficial to those with a cough or cold and will help you sleep better. Each bottle contains 50 ml (1.76 fl oz) of liquid. The ingredients listed are Helianthus annuus (sunflower) seed oil, Eucalyptus globulus (eucalyptus) leaf oil, Lavender Angustifolia (Lavender) flower oil, Mentha piperita (peppermint) leaf oil, and Pinus sylvestris (Scots pine) leaf oil. Why did the manufacturer choose this particular blend of essential oils? What effects does each oil have? Eucalyptus oil – Used to assist with breathing when congested. Eucalyptus oil helps to loosen mucus and allows more oxygen to enter your lungs as it dilates the blood vessels. Not only is it a decongestant, it also helps to clean the body of harmful toxins. Lavender Oil – Has a numerous health benefits which include improving quality of sleep as well as reduce anxiety and stress. Lavender oil is a relaxing oil as it assists in helping you fall asleep. Like Eucalyptus oil, it also helps relieve sinus congestion. Peppermint Oil – Helps to soothe sore muscles and relax the body. It’s also a natural painkiller and helps to clear the airway for those who are congested. Scots Pine Oil – Another decongestant and reliever of sore throats. Pine oil also helps to loosen phlegm and mucus which allows for a productive cough. Sunflower Oil – This oil was chosen as a delivery system for the four oils mentioned. Sunflower oil is vitamin E rich and is easily absorbed. Together, this blend helps to relieve congestion, allow for better breathing, and relaxation. The cost of the AirSnore will vary depending on which product(s) you choose. If you were to purchase the mouthpiece by itself, this will set you back $49.95. The drops, when purchased alone, cost $59.95. If you are interested in both products, they can be purchased as a combo pack for $89.95, a savings of $19.95. One benefit of choosing any of their products is that the company offers free shipping. Before taking a chance and dropping $50-$90 on another snoring solution, you are probably wondering “What if this doesn’t work for me?”. 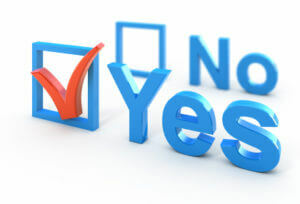 This is a common concern and one that is often addressed by most sellers in the industry with a money back guarantee. Most manufacturers who sell snoring mouthpieces offer some sort of guarantee and AirSnore is not an exception. According to their website, the AirSnore comes with a 60-day money back guarantee which is twice the average of 30 days offered by most manufacturers. Truth be told, if a mandibular advancement device is right for you, you will know after the first night so while an extended guarantee is certainly a benefit, it’s not necessarily a huge selling point. 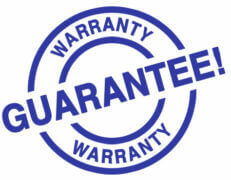 I searched the internet for any complaints related to the company honoring this guarantee and was unable to locate any. At first glance, I wasn’t clear on what exactly this product was. I’ve reviewed over two dozen snoring mouthpieces in the past, but never encountered one that is offered with “drops”. The drops were somewhat of a mystery and my initial thoughts were that you place the drops on the mouthpiece before inserting into your mouth, which by the way you should not do. After reading up, I realized that the drops were simply an essential oil blend which is applied externally to the skin. As you may be aware, essential oils have been very popular in the past four years and are used to treat a number of ailments. Knowing this, I’m open to the idea of giving essential oils a try. The AirSnore mouthpiece appeared very similar to other snoring mouthpieces that I have tried in the past. Since I’m familiar with how these device work, I decided to start by testing out the mouthpiece. Here is the method that I used to fit my AirSnore mouthpiece. Boil a small pot of water and set aside. Fill a small bowl with cold water. Ensure that hole retainer plug is inserted. Using a pair of tongs, fully submerge the mouthpiece into the boiling hot water. Wait 30 seconds and then remove. Once removed, wait a few seconds and touch the mouthpiece to ensure that it’s not too hot to place inside of your mouth. Place the AirSnore into your mouth and bite down firmly while thrusting your jaw forward slightly. Hold this position and allow it to cool inside of the mouth for a minute or so. Remove and immediately submerge in cold water. Remove the AirSnore from the cold water. Remove the retainer plug and insert into the mouth. A properly fitted mouthpiece will retain the jaw in the forward position when placed in the mouth while biting down. If a proper fit is not achieved, remove and repeat the fitting process. This can only be fitted a few times before the material becomes compromised. I found the process of fitting the AirSnore pretty simple as it took less than 5 minutes and I didn’t experience any issues. It was time to put this mouthpiece to the test. I’ve been using similar snoring mouthpieces for a number of years now, so I’m fairly well versed in how MAD’s work. That being said, before going to bed, I placed that AirSnore into my mouth, read a book, and slowly drifted to sleep. If you are not accustomed to using one of these devices, you may find it to be somewhat cumbersome and awkward at first. You may even experience some drooling during the first few days. Once you become accustomed to wearing a snoring mouthpiece, you will notice that wearing one every night will be much easier. I often rely on my wife to determine whether or not a product works. Unfortunately, she was out of town for the first three nights of this experiment, so I had to rely on a smartphone app to record any noise that was made as I slept. During the first three nights, no snoring was detected, indicating that the AirSnore was indeed effective. During the next four nights, my wife was present, which meant I no longer had to rely on the app to let me know if I was snoring. This is the ultimate test as she is my bed partner and is the one who has to put up with my snoring problem. During the next four nights, in addition to using the mouthpiece, I rubbed the essential oils on my chest, under my nose, and on my neck. The scent was rather soothing, sort of like Vicks Vapor Rub but even more pleasant. Although I didn’t have any chest or nasal congestion during this time period, I could certainly feel the powerful effects of the essential oils as the aroma made its way through my nasal passages into my lungs. I typically have no issues falling asleep, so I was unable to tell if the drops had any measurable effect on helping me to fall asleep. For those who have issues falling asleep, I can see how these essential oils would be beneficial. Also, because sedatives such as sleeping pills cause the throat and airway to relax and compound the issue of snoring, using these drops can be a great alternative to relying on such pills that are not only harmful to your body but can also compound the snoring effect. The results over the next four nights – the AirSnore continued to work and there were no complaints from my wife about my snoring. 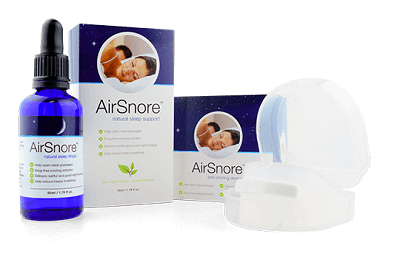 While I found that the essential oils may be better suited for someone with congestion issues or one who needs help falling asleep, the AirSnore mouthpiece was certainly effective against snoring. One notable feature of the mouthpiece that appealed to me was the dual air holes that are located towards the front of this mouthpiece. These air holes are large enough to be useful and are essential if you are a mouth breather. The overall design is functional and should work for those with an average sized mouth. As for the price tag of the mouthpiece, $50 with free shipping is not bad at all when compared to the price of other snoring mouthpieces which range from $40 on up to $100 or more. If the essential oil drops are something that you could potentially benefit from, it may be worth purchasing the combo pack for an additional $40. 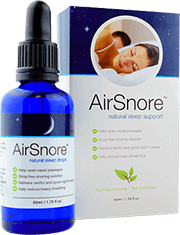 The essential oils used in the AirSnore drops are proven to be effective against congestion and help to relax the body. It’s important to note that the essential oils alone are not going to prevent your snoring. These are only used to assist with falling asleep. The AirSnore is offered with a 60-day full money back guarantee which makes trying this product virtually risk-free. Because of this, I certainly recommend giving either one of these products a try. Next post: Can Erectile Dysfunction Be Caused By Snoring?